Belkin’s latest wireless-N router, the Play Max is unlike any ordinary wireless router but one that comes with apps that aims to enhance your home network. We’re now consuming more multimedia content such as pictures, musics and videos than ever before and Belkin’s new Play Max router aims to make it as easy as ABC for an average Joe to setup a wireless home network to share files and printer wirelessly across multiple PCs at home. Out of the box, the Belkin Play Max router comes attached with the WAN network and power cable with a simple 3 steps instructions. It’s really a no-brainier and simple to get the router up and running. 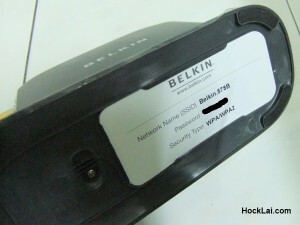 Despite its easy wireless setup process, Belkin has also ensure that the wireless security is not easily compromised with a common (factory default) key across its router with a random security key on a little card attached to the router. Belkin has also made some little but notable well thought out placeholder to keep this little card under its stand for future reference. Otherwise I bet many of us would have lost this card that contains the wireless security key. 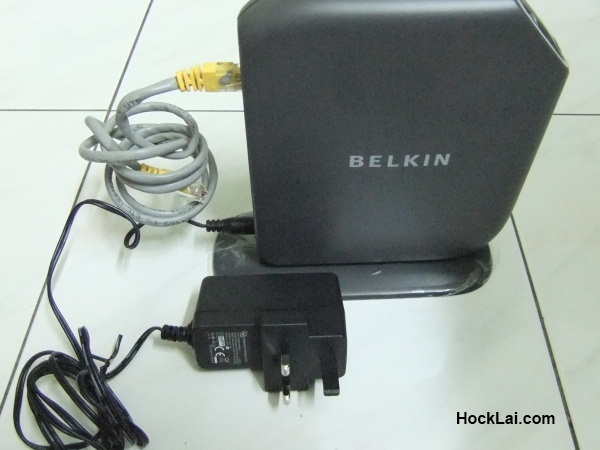 Besides that, Belkin also has a simple “Push Button Configuration” to initiate Wi-Fi Protected Setup that enables user to connect WPS-enabled devices to the router automatically within a 2 minute opening window. Another plus point for the Play Max in terms of ease of setup. As for the wireless security standards supported, it supports WPA2, WPA, and WEP wireless encryption which is pretty much a standard affair. 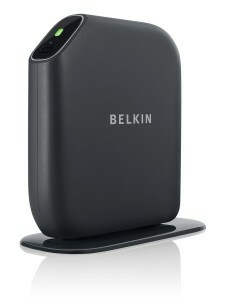 The overall design of the Belkin Play Max is very simple, elegant, nice and minimalist. In fact, it’s too minimalist to my liking. There’s only one LED indicator at the top to show the status of the router, with green light to say it’s running OK and blinking amber light to indicate that there’s something wrong. There’s no LED indicator to show any connection status (for LAN) or data transfer is running over the wireless or wired network. 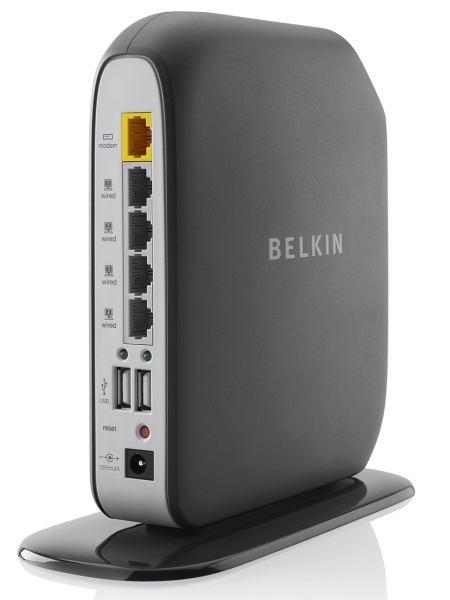 However, the internal antenna design is certainly a nice plus to the router’s aesthetic and a step forward. After using the Play Max for a couple of days in a room temperature of 30 degrees Celsius with minimal air ventilation, it does get a little bit warm but nothing to be of concern. My ADSL modem gets warmer than the Belkin does. As mentioned earlier, Belkin Play Max comes with several apps, with some being more useful than others. I’ll start with probably the best highlights of the Play Max model – Torrent Genie. This app helps download large media files (movies, music, games, etc.) via the P2P Bit Torrent network onto an attached USB drive on the router without having to leave the computer on. It basically works with a Bit Torrent client application called Vuze that is installed on a user’s computer to add torrents onto the router for offline downloading. The router would then proceed to download once the computer is turned off. Speaking of the USB drive (not included) attached to the Belkin Play Max, there’s a Memory Safe app that would automatically backup important files and precious photos into connected hard drive every hour. 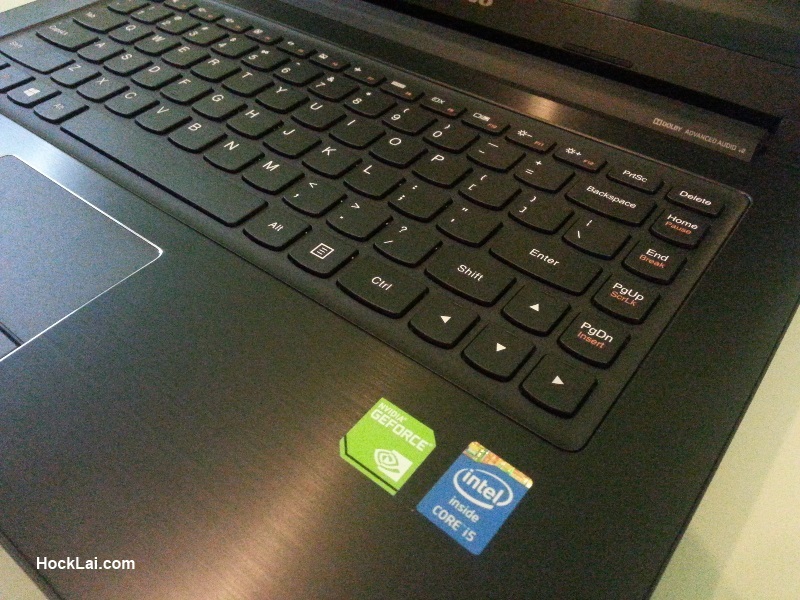 However, this feature would only work on the PC with the Memory Safe app install on the user’s PC. Personally, I’m not a fan of the software as Windows 7 comes with similar functionality built-in. Next, there’s the Print Genie app. Most home users would only own a USB printer instead of the more expensive models with network printing capability. The Print Genie would enable the USB printer connected to the Play Max with wireless network printing capability. Thus, printer sharing at home made better without depending on a PC with the connected printer to be switched on. 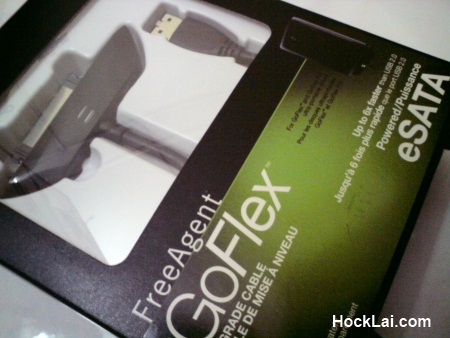 The Belkin Play Max is easy to get up and running. However, sometimes things may not work as well as expected and the Play Max comes with Plan B – Self Healing app. It would automatically detects and resolves network problems that users may encounter, as well as conduct a routine maintainence scan to obtain the clearest wireless channel for improved wireless experience. On the improved wireless experience front, the router also comes with Bit Boost app to prioritize the network traffic for video, gaming, VoIP over normal network data. Thus, network applications that are sensitive to latency (lag) would stream seamlessly for a better internet experience. I’m not too sure if this feature should be called an app, as most router these days comes with this function too. Lastly, the not-so-worthy apps to be included in the package. Music Labeler app that identifies and label tracks with the correct meta info from the internet. I think this is just redundant, Windows Media Player or any decent media player or disc ripper would have this functionality built-in. Then, there’s another redundant app – Daily DJ that generates a few genre (mood) of songs playlist from your music collections. A feature which Windows Media Player or iTunes is more than capable to get this done. 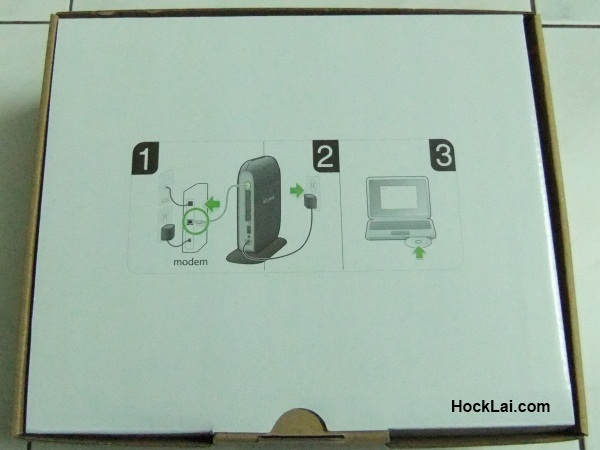 It’s also worth mentioning that the Belkin Play Max also comes with Music Mover app that allows DLNA supporting devices such as the Xbox360 and PS3 to play MP3s from the external hard drive connected to the router. Well, I’ve not tested this feature because I don’t really fancy it nor do I have a DLNA supporting device to test it out. So how does the Belkin Play Max fare out as a router in terms of its wireless performance? Well, the wireless coverage range is definitely better than the wireless-G I currently have (as expected from a wireless-N router). Well I do not stay in a big mansion, thus at a distance of about 60ft indoor I could obtain excellent (full-bar) signal strength on my Compaq laptop equipped with Intel Wireless Link 5100 (802.11 a/b/g/n) adapter as shown in Window’s Network Connection status. Compared to wireless-G, the signal strength would have dropped a little, to about 80%. As for the transfer speed, transferring a 700MB file over the 300Mbps (2.4 GHz) wireless-N network (PC to PC) took about 2:30 minutes or average of about 40 Mbps (5MB/s). And if that’s not enough, Play Max could also operate on the 5 GHz bandwidth to achieve slightly faster transfer speed of about 2 minutes or 50Mbps (6.2MB/s). If the wireless transfer speed seems slow, there’s also the faster wired Gigabit LAN that would get it done slightly faster at about 10 seconds or an average of about 480Mbps (60MB/s). Even though the theoretical speed of the Gigabit LAN should be much faster, do note that our hard drives could only get the data transferred at the above speed, thus limiting the network transfer speed. However, when compared to the 100Mbps LAN, it would have taken about 1 minute or about 88Mbps (11MB/s), which is quite an improvement in speed. However, the data transfer speed to the Play Max’s attached external USB2.0 hard disk was rather disappointingly slow. Transferring the same 700MB file, it only manage to achieve 8.4Mbps (1.05MB/s) write speed and a read speed of about 18.4Mbps (2.33MB/s), which translate to 11 minutes and 5 minutes respectively. For comparison, it would only take about 40 seconds or about 136Mbps (17MB/s) to get it done when attached directly to the PC’s USB2.0 port. Overall, Belkin Play Max is a good wireless-N router with some additional value-added features (or apps). Perhaps the Apple tagline “There’s an App for That” got into Belkin’s marketing scheme for their routers. Nonetheless, some of the apps such as the Torrent Genie, Print Genie, and Self Healing are great additions to a solid wireless-N router (official 802.11n standard). Last but not least, Belkin Play Max comes with a 3 years limited warranty to give users the peace of mind.